Super Mario Run Announced – Coming to iPhone/iPad This December – 3WIREL! Mr. Jump Man has been famous for being Nintendo’s star platforming series across many Nintendo platforms, but the plumber is hoping into the warp pipe into the realm of mobile gaming. Super Mario Run was announced today by Nintendo. We will hear more on this & other Nintendo Mobile projects in the future. 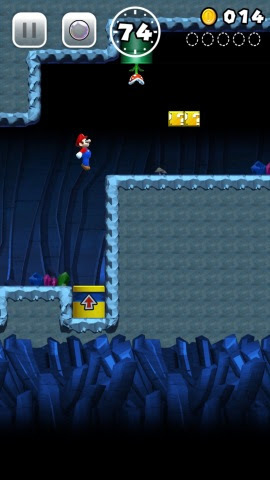 – Apparently similar to the Rayman games, Mario can jump over gaps and enemies by tapping on the screen. The longer you tap, the higher and longer Mario jumps. – Paid game, not free to play, no subscriptions or anything. Pricing to be announced later, but will come out in time for holiday 2016. – There’s also a set of Super Mario stickers for iMessage, that will come out alongside iOS 10.